CES rocked. CES always rocks. Sure, this year it may've rocked less than the past couple of years, but if you're in the consumer electronics market, you need to be there, full stop. 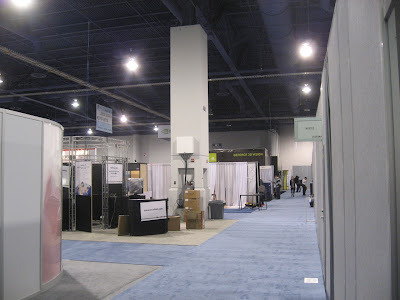 This year flushed out quite a few companies that didn't belong over the past two years; I wouldn't be surprised if next year's show remains a similar size, although if rumors of Apple moving its trade show presence from Macworld to CES 2010 hold true, we might see some growth. Show floor traffic was down, absolutely. The first and last hours on the show floor each day were lightly attended; mid-day traffic was decent, although not nearly overwhelming. Friends and colleagues reported in via e-mail, IM, and Twitter (@heycoop) throughout the course of the show; it's fair to say that no one in my crowd was disappointed by the fact that CES was less busy, to the point where the show was actually manageable this year. That said, traffic to and from the convention center still sucked, even with tens of thousands fewer attendees than the past couple of years. Remind me again why I didn't stay on the monorail this year? And, yet again, I totally missed the Sands. I'd love to see CEA open the Sands on Wednesday, a day earlier than the LVCC. 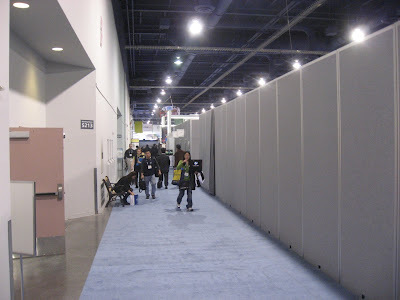 They'd enjoy better traffic for Sands exhibitors, better attendance at the (excellent) keynotes, and enable attendees to have a more thorough CES experience overall. Also, I didn't see anything earth-shattering this year in terms of serious break-through technologies. 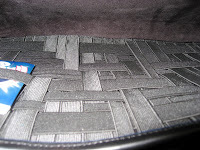 Inductive charging pads like Powermat are very cool, but they require either new industrial designs or new carrying cases to function. Yes, I want that technology, but it's not showing up in my house this year. 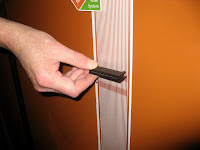 A better option might be a charging station like the one from Idapt, providing a wide range of charging tips for drop-in charging. On the one hand, it's a very cool capability, to simply drop your device onto the charging tip. 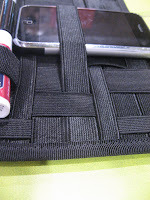 Further, this design enables me to keep my gadget chargers in my bag so I never forget them when I'm on the road. On the other hand, I'm not sure I need to spend cash and space for a charging unit like this, since I can just keep plugging my devices into their respective chargers, assuming I can remember to grab all the chargers when I do hit the road. Beyond that, with the vast majority of the industry moving to micro-USB (again, I reference Anton Wahlman's excellent post on the topic), I'm not sure how long I'd need a charging unit like this. 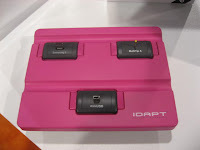 I mean, my life is all about gadgets, all of which need to be powered somehow; I really do like the Idapt offering, but I'm not sure I'll be jumping on it anytime soon unless they offer me a review unit. 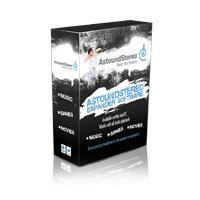 Favorite software application: AstoundStereo, a stereo expander for Macs and Windows PCs. Lots of folks don't realize that the process of ripping/encoding a CD (or downloading music from iTunes, et.al.) in MP3 format delivers a song with dramatically less information than the original, due to the lossy nature of MP3 compression--the tradeoff being, MP3 files take a fraction of the space of the original songs. The resulting file is much smaller, delivering a correspondingly narrower range of fidelity. Expanders attempt to re-create the higher fidelity experience present in the original audio track. I've downloaded the free 30-day trial from Astound's website, and am running it on my MacBook, my Mac Mini, and my MSI Wind netbook. On each, the audio experience is dramatically improved; on the netbook, whose speakers deliver output that's generously described as tinny, the experience is night and day. 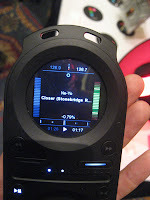 I was listening to my netbook in my hotel room in Las Vegas, and couldn't believe how bad the sound was; after installing AstoundStereo, I was able to move beyond the lousy sound and actually enjoy my music. Definitely worth the $29.95 license, which they're knocking down to $19.95 through the end of January. 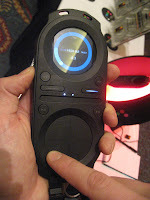 Favorite hardware: I'm not a DJ, but I absolutely loved the Pacemaker, a handheld DJ system from Stockholm-based Tonium. DJ friends of mine have evolved from carrying turntables with milk crates of LPs, to compact disc players with milk crates of CDs, to laptops, to multiple iPods, all of which have typically required some type of external board to enable proper mixing, cueing, fading, etc. The Pacemaker embeds all of those capabilities in a single, 120 GB hard drive-based device, while adding useful features like beat matching, independent mixing, and a whole bunch more--all in a single, hand-held unit which can live for 5 hours on battery power. Freakin' cool. Favorite accessory: Cocoon's Grid Technology. 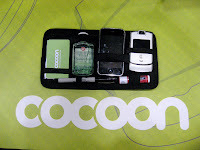 Cocoon Innovations launched a number of items at the show; while their bags are extremely cool, the technology inside them was even cooler. 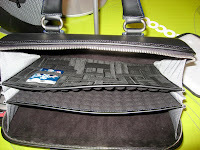 Cocoon's patented elastic organization straps offer endless flexibility for organizing everything in your bag. I carry too much stuff, all of which is typically at the bottom of my bag. With Cocoon's Grid, I finally have a place for my stuff. George Carlin (R.I.P.) would approve. Favorite cell phone case: I didn't attend Macworld (or as Dean called it, iPhonecaseworld), but CES did have its fair share of mobile device cases. For the second year in a row, my favorite device case comes from OtterBox. 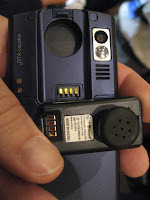 I'm not Victor Kiam, but I like their stuff so much that I use an OtterBox case for my BlackBerry Curve. I drop my Curve about once a month, whether I need to or not; I hope I'm not jinxing myself here, but to date, the OtterBox case has saved me multiple times. 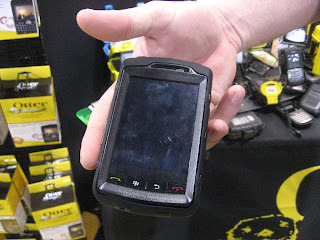 Pictured here is OtterBox' new case for the BlackBerry Storm. Despite the fact that I absolutely cannot use virtual keyboards, I highly recommend the OtterBox case for those who do--the typing experience on the Storm (or on an iPhone) is exactly the same in an OtterBox, with the added value of drop protection. As with their other cases, OtterBox has designed a case that makes a good tradeoff between robust protection and bulk; the Storm case isn't on the website yet, but keep an eye out over the coming weeks. 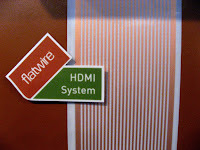 Favorite building block: FlatWire's flat HDMI wire. The wire is, uh, flat. You're gonna look at this and decide whether you think it's cool or not. If you don't think so, move on. If you do, look at the photos, then hit their website for more. 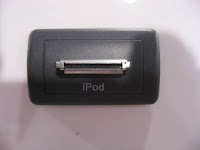 To summarize, they're taking their existing flat wire technology and adapting it for carriage of HDMI. 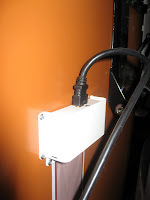 The wires require a physical connector to be punched into the wire itself, hence the white junction box with the HDMI connector at either end. I was so speechless at how cool this was that I forgot to ask about the maximum distance supported, but you can paint over it, mud over it, and more. With a price point expected to be at least double that of regular HDMI cables, this won't be for everyone, but a lot of folks will immediately understand the value simply by looking at the above images. 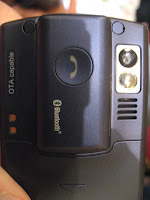 Favorite device for my parents: While I saw lots of network-connected photo frames, I still don't think they're ready for me to have a point-and-click dashboard where I can determine which photos to sync to multiple remote frames over the cloud. So, while I know that this category has huge legs, my favorite device this year is the LG Decoy, a cell phone with a built-in Bluetooth headset. No, this isn't new--in fact, the Decoy has been out since last summer. And no, it's not perfect--many reviewers have commented on the shortcomings of the device in terms of audio quality and battery life. But, in a world where more and more states are mandating hands-free cellular phone use, and where we all hate having to remember to charge yet another device, a phone with an embedded, detachable headset is a great idea. Your neighborhood geek won't like the Decoy, but your parents will--assuming they're Verizon customers, of course. I asked LG if they hold patent protection on this design; they said they didn't, which shocks me, as I'd've expected other companies to have introduced similar designs by now. Maybe they will in 2009. Favorite reception/party: It Won't Stay in Vegas, the blogger party at the Atomic Testing Museum. 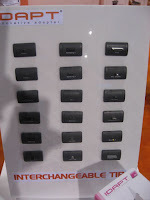 I had a ton of interesting conversations with bloggers and vendor sponsors from across the consumer electronics spectrum; look for upcoming reviews on Burton's Acoustibuds, magicJack, Monster's Outlets To Go, and more. I hope I make the cut again next year. Favorite TV: All of 'em. Thin to win. 240 Hz. Local dimming. Lower power consumption. Built-in DLNA. Widgets. Over-the-top delivery. I want 'em all, and I want 'em now. I want 3D while I'm at it. Hell, why not. Favorite demo: I saw a lot of wireless high-def demos this week; in fact, of the 100,000 plus attendees at CES, I can say with a high (def?) degree of confidence that very few if any people saw more wireless high-def demos than I did. I'll have a full recap and comparison of each solution in the coming days; for now, I want to focus on the most compelling demo I saw, from an Israeli company called Celeno. Having spent 18 months in a previous life traveling the world with TVs, DVD players, and wireless devices for demo purposes, I thought I'd seen most methods of doing a wireless high-def demo. I'm not ashamed to admit I was wrong. 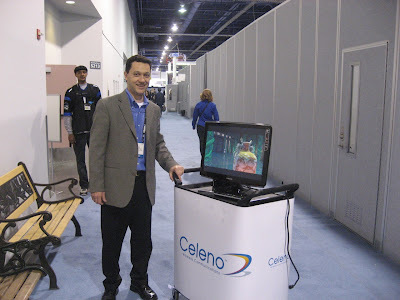 This year was my second-busiest CES ever, so I didn't make it to Celeno's booth till 3:30 on Sunday afternoon. Weaving and wending my way through South Halls 3 and 4, the aisles littered with the detritus of early tear-down, I hoped against hope that the Celeno guys would still be at their booth. Thankfully, they were. I spent a couple of minutes speaking with Kapriel Karagozyan, Celeno's Boston-based VP of Sales. Kapriel then showed me a demo, which was anything but the same ol' same ol' wireless high-def demo; instead, we went on walkabout. 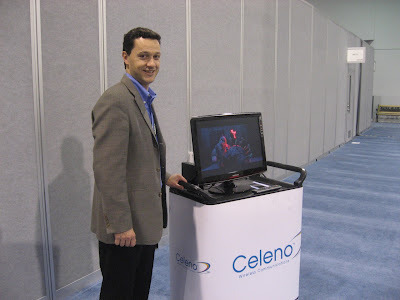 Celeno's transmit-side demo was a Blu-ray player connected to a reference design they've built in conjunction with Cavium Networks; the design uses Celeno's Wi-Fi chipset combined with the PureVu H.264 chipset from Cavium (nee W&W Communications). The receive-side demo was a Samsung TV connected to the PureVu system, using an off-the-shelf 802.11n MIMO chipset. Most interestingly, the receive-side demo was mobile, sitting on a battery-powered cart. Actually, the demo was battery-powered; the cart was Kapriel-powered. This view shows us after rolling about 30 or 40 feet from the Celeno booth, which was in the second blue-carpeted aisle, to the left (as you look at it) of the support post. This was interesting, particularly knowing that the high ceilings of the convention center don't provide much of the reflection needed to optimize 11n's MIMO capabilities, but I wasn't that impressed. Onward we pushed. (Actually, Kapriel pushed; I just kept saying "Dude!" every 10 feet or so.) When we were finally about 140 feet from the Celeno booth, the demo began to break up. Knowing just how difficult it is to deliver high definition TV wirelessly, I was absolutely flabbergasted. To give you some idea of just how far away we were, see if you can find Kapriel in the following picture. If you click on the final image, then look very closely, you'll be able to see a TV screen in the middle of the image, a loooooong ways away. That's the receiver. I'm standing about 140 feet from the booth, where the HD video signal finally broke down; Kapriel is ~90 feet from me, waving, on his way back to the booth. Mind-boggling. Kudos to the Celeno team for delivering a hugely compelling demo, one that won over even me, a guy who's seen just about every wireless high-def demo in existence. In the next couple of days, I'll give you the rundown on many of them.